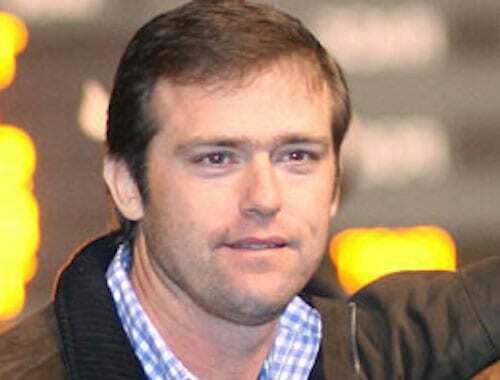 It's been a long and arduous seven years, but on Monday, Jan. 28, trainer Heath Taylor, was restored to good standing by the Louisiana State Racing Commission. His ordeal began in May 2012, when Taylor was cited for a drug violation at Delta Downs. The drug, Dermorphin, also known as frog juice because it originally came from a secretion from South American tree frogs, is a powerful pain killer classified as a Class 1 drug by the Association of Racing Commissioners International. Taylor was one of a handful of trainers with horses testing positive for the drug. The two veterinary practices that were named as administering the Dermorphin were never sanctioned by the Commission. Taylor was suspended for five years by the Louisiana State Racing Commission and had to pay a $5,000 fine. An appeal and temporary restraining order allowed Taylor to keep training in Louisiana until a 2014 court ruling upheld the suspension, but an American Quarter Horse Association policy effectively banned him from competing in other states immediately after the original ruling was ordered. After serving three years and nine months of the suspension in Louisiana, Taylor was reinstated at the Jan. 28 Louisiana State Racing Commission meeting on Monday. While some trainers will pay the fine and serve their time in order to get reinstated as quickly as possible, that was not the path that Taylor took. He willingly participated in the investigation with the full understanding that the trainer responsibility rule applied, even if, as he claims, he had no knowledge of Dermorphin or any illegal substance being administered to his horse. Taylor said he voluntarily drove eight hours to New Orleans to offer his truthful testimony under oath. It was a dark time for Taylor as the reality of the suspension set in. Taylor made numerous requests to meet with the Commission to have his license reinstatement considered, but all were denied. In 2018, Taylor asked for and received support from a high-powered group of legislators and businessmen. He is grateful to Louisiana Gov. John Bel Edwards, who stands by the policy “People Before Politics”; Lt Governor Billy Nungesser; Paul and Syd Watson and Lee Mallett. Kohll's Pharmacy & Homecare, the lab to which some of the Dermorphin was traced, was convicted of one count of conspiracy and found guilty of two counts of introducing an adulterated or misbranded drug into interstate commerce with intent to defraud and mislead. The judgement was announced by the U.S. Attorney's Office for the Western District of Louisiana on November 8, 2017. Taylor, 48, was born in Carrolton, Ky. After earning his BA in Equine Administration from the University of Louisville, he embarked upon a career as a Quarter Horse trainer. He won 22 races his first year, but those numbers grew larger in the next decade. His breakout year was 2003, when he saddled 85 winners and eclipsed the million dollar earning mark for the first time in his career. His frenetic schedule took him from Louisiana to Texas to New Mexico and California, for key races and purchases at the major yearling sales. Taylor developed a noted list of graded stakes winners including Stolis Winner, Vals Fortune, Fredricksburg, Jess Zoomin, First Carolina and Fast Talkin Henry. He completed 2005 as the second leading trainer in the nation, winning 134 races and $3.1 million in purses. Those numbers swelled markedly in 2008 when he won the $2-million All American Futurity with Stolis Winner and had record earnings of $5.3 million. Taylor trained 176 stakes winners from 1994 through 2014. He had qualified several horses for the All American Futurity at Ruidoso Downs, finally winning Quarter Horse racing's most prestigious race in 2008 with Stolis Winner, bred and owned by Jerry Windham of College Station. The 2-year-old gelding captured the $1,106,320 Heritage Place Futurity at Remington Park and the Rainbow Futurity at Ruidoso Downs capping his 2-year-old campaign with the All American victory. One of his most prolific Louisiana-based champions was Vals Fortune, the son of Dashing Val who won 20 of his 23 starts from 2003 until his retirement in November, 2005. Prior to his suspension, Taylor had amassed a record of 1,551 wins from 7,045 starts and career earnings of $30,588,429. Windham remained steadfast of his support of Taylor, and has seen the toll the suspension took on him. Louisiana horsewoman and LQHBA Board member JoBaya Foreman and her father, Joseph Irvine, bred Vals Fortune. The day after the hearing, Taylor was back at his Vinton, La., training center where close to 60 horses are in various stages of training. An array of juveniles worked in the morning and tattooing and other duties kept him busy throughout the day. He has experienced the gamut of emotions since the ruling, appeal and suspension. And when he left the Jay. 28 hearing, it was hard to fully explain how he felt. Martha Claussen served as publicity director at Sam Houston Race Park for ten years. She continues to be active in writing, fan education and Quarter Horse racing publicity in Texas, Louisiana and other regions in North America. This entry was posted in NL Article, People and tagged american quarter horse association, Delta Downs, dermorphin, Frog Juice, heath taylor, Kohll’s Pharmacy, louisiana state racing commission, Martha Claussen, Quarter Horse racing by Martha Claussen. Bookmark the permalink.